Suleman Abba and Reno Omokri both served under former President Goodluck Jonathan. 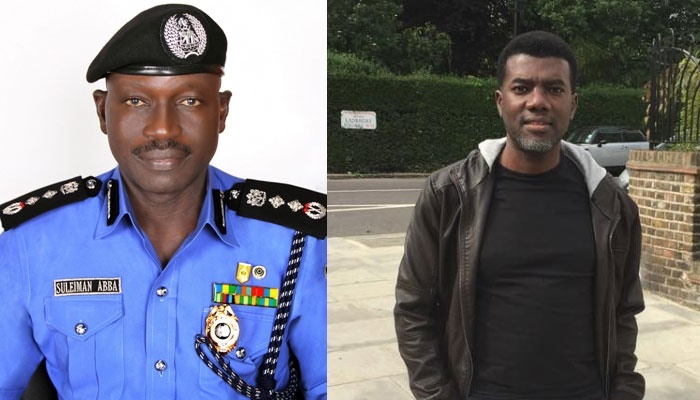 Reno Omokri has responded to a challenge by the former Inspector General of Police, Suleman Abba, for a debate over his claims that he forced Goodluck Jonathan out of office. When Goodluck Jonathan was president, Reno Omokri was his Special Adviser on New Media and he has consistently defended his boss even years after he lost the 2015 Presidential election. Even though Dr. Jonathan called his opponent to conceded defeat before election result was announced, a former Inspector General of Police, Suleman Abba, has claimed he forced him out of office. But Mr Omokri is not ready to accept that claim. Since Mr Abba made that statement, it has been war of words between them. Again on Friday, Mr Omokri responded to an earlier request by Mr Abba for debate on the issue. He says he will buy a first class ticket for the former IG to enable him have a debate with him. In a post on his Facebook page, Mr Omokri said Mr Abba had in a publication entitled ‘Ex-IGP Blasts Omokri: Jonathan Will Be Sad If I Open Up’ boasted of being a lawyer and challenged him to a debate. "He was responding to my statement wherein I exposed his lies against former President Jonathan whom he had slandered by alleging that he forced former President Jonathan to concede the 2015 Presidential elections. "You will recall that I proved, with facts and dates, that the ex-IGP is a liar and that he could not have rigged the Osun gubernatorial elections for the PDP because the dates of his appointment and the date of that election, as well as the date of his sack, do not add up," he wrote. He further insisted that the former IGP was sacked for dereliction of duty, explaining that "under his watch, the Resident Electoral Commissioner of Kano State, Alhaji Mukaila Abdullahi, was burnt to death with his wife and two children on Friday, April 3, 2015, under suspicious circumstances after he had reported incidents of severe electoral fraud in his domain". "When confronted with this suspicious death, the then acting IGP of Police gave contradictory and unsatisfactory answers". He then accepted the challenge. "That being said, I note the boast of Mr Abba that he is a lawyer and his challenge to debate me. "I wish to inform Mr Abba that I am also a lawyer with a Masters in Law from an English university and that I accept his challenge to debate me. "I hereby promise to buy Mr Abba a First Class Ticket to anywhere in the world outside Nigeria to facilitate the debate between him and me. "I hope that Mr Abba will not chicken out of his own challenge. I look forward to his speedy response," he added.